Amiodarone, a potent class III anti- arrhythmic drug is contraindicated in thyroid patients or those with subclinical disease. The reason lies in the pharmacokinetic profile of this drug. The drug has a structural resemblance to triiodothyronine (T3) and thyroxine (T4). In the body, it is metabolized by dealkylation to Desethylamiodarone (DEA), the intrathyroidal concentration of which is higher than the parent drug. Normal daily recommended intake of iodine for adults is approx. 0.15mg (150mcg). Each 200mg tablet of amiodarone contains about 74.4mg of iodine with 7.4mg (10%) being released as free form. This is roughly 50- fold higher than the normal. Therefore, total body stores may remain increased for upto 9 months after stopping the drug. High iodine content of this drug inhibits local type-1 5'- deiodinase activity (blocking conversion of T4 to T3) and type- II 5'- deiodinase activity in the pituitary. As a result, TSH is increased initially (mild elevation) and then return to normal or may even decrease in euthyroid patients after weeks, while T4 is normal or raised, and T3 levels decrease. The increased delivery and uptake of iodine by the thyroid gland may cause increase in hormone production and release, a condition called type-1 Amiodarone- induced thyrotoxicosis (AIT) . In other cases, excessive thyroid tissue destruction due to destructive thyroiditis may lead to type-2 Amiodarone- induced thyrotoxicosis. These are hyperthyroid states!! Discontinuation of the drug is recommended, if not, then high doses of thioamides and corticosteroids may work in AITs. Amiodarone may also cause hypothyroidism (AIH) in patients depending upon the iodine status of individuals and prior thyroid disease. Wolff- chaikoff effect is shown by thyroid cells due to failure of thyroid hormonogenesis. Levothyroxine is the drug of choice. Buzz words for congenital syphilis! 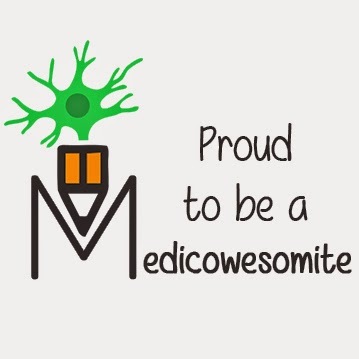 Medicowesome secret project: Who am I? Is it okay to wish a man "Happy Women's Day"?